Chatbots can’t chat. That’s OK.
Out of all the technology on which designers and developers spend their energy, bots stand out as the most misused. A certain type of bot, actually. I’m talking about chatbots — the promised land of engagement, the wasteland of our efforts. 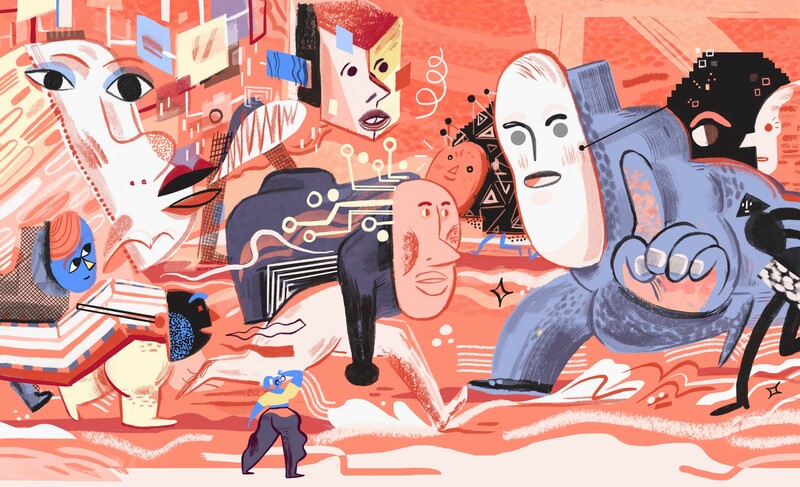 For some time now, the retail world has been beating itself up trying to get chatbots right. In the name of efficiency and cool, we’ve been clamoring to create the optimal specimen — a chatbot that can answer all sorts of questions, help make a decision, or direct customers to assistance when they need it. Yet, in spite of our efforts, chatbots are still deficient chatters. Chatbots are hamstrung by their very nature. The current model dictates that they need to appear human, but they’re not at the technological stage where they can do so. To complicate the issue, when a chatbot is able to appear more human, user expectations of it rise beyond what it’s capable of doing. And if they’re too simplistic, enjoyment drops. 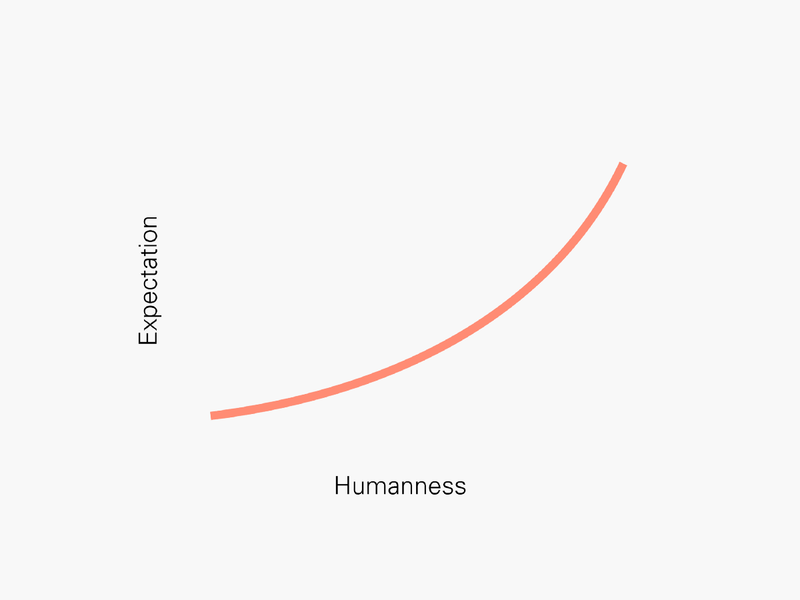 Balancing expectation & enjoyment is one of the biggest challenges for chatbot designers. This is a delicate balance to strike; it’s no surprise that last year, 70% of user requests to Facebook’s Messenger bots went unfulfilled. Our popular assumptions about what a chatbot should do and the realities of what the technology can do are very different. In spite of this performance gap, we shouldn’t altogether scrap our chatty friends — there might be other ways to have meaningful interactions with the interface. At W+K Lodge, one approach we take to problem-solving is to disregard the expectations that an industry holds of a technology or platform. 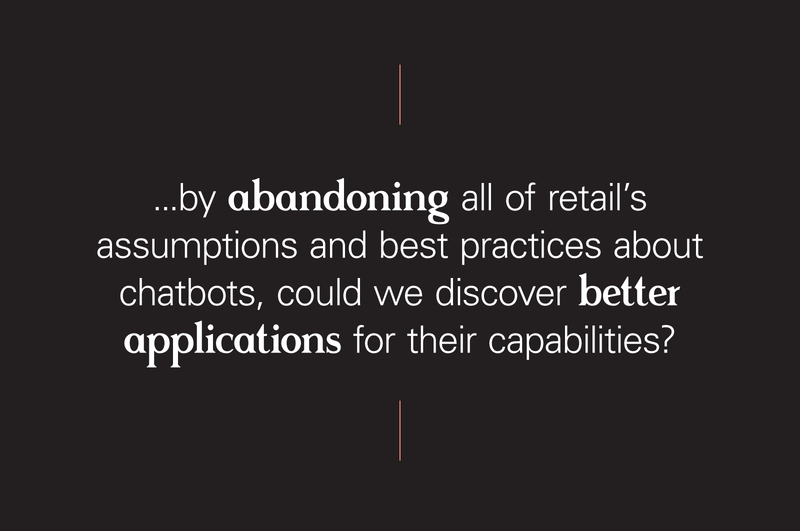 In this spirit, we tasked our team: by abandoning all of retail’s assumptions and best practices about chatbots, could we discover better applications for their capabilities? We decided to buck industry norm and build a completely unsophisticated chatbot — one that had no requirement to satisfy a customer service manual, demonstrate branded best practices, or act human in conversation. Through this experiment, we learned that chatbots can, in fact, be good retail and conversational partners, but only if we reset our expectations of how a bot conversation should go. We confirmed that chatbots can accommodate customer service needs and take customers down a decision tree, but they can’t make good conversation and they can’t understand nuance. However, we learned that chatbots can also serve as stellar icebreakers, creative partners, and insight producers — adding value for internal teams and customers alike, if designed with the appropriate tone and user experience in mind. Let’s start with our expectations of chatbots. These expectations hinge on a broader misrepresentation of technology: much of the retail industry mistakes technology as a solution. By definition, it is not. Merriam-Webster defines technology as [a] capability given by the practical application of knowledge. By this definition, tech has existed for millennia. Technology has always been but a means of extending our own human capabilities the way a hammer helps us nail things together. Chatbots are technology; on their own, they can’t solve problems — they currently lack the requisite intelligence to first define a problem. Give an artificially intelligent machine thousands of pictures of dogs. It’ll do a good job of consuming, retaining, and then using that information to identify dogs. Transfer learning moves the needle forward, enabling a program to apply learnings from one problem against a similar problem with little additional data. This means our dog AI could learn to recognize cats using very little input or information about them. Still, this behavior is not intelligence. In spite of its sophistication, our new AI does not meet the third need of intelligence. It cannot apply information to new behaviors. Our dog AI is incapable of, say, learning how to recognize dogs, then deciding to write poetry about them. No. There are AI programs out there that can produce the artifice of poetry. Let’s explore the difference. Jack Hopkins, a London-based computer scientist, built an AI poetry-writing program. It models relationships between millions of words from a body of 20th-century poems and creates poetry by probabilistic word association. The way his poetry-bot works begins with a seed character from its corpus. It then looks for characters that precede or follow the selected character in its corpus. It builds and rebuilds sections of each poem character by character, line by line, stanza by stanza, until the poem is complete. To the amateur poet, such as myself, the difference between this bot’s poetry and actual poetry may go unnoticed. Of course, the poetry-bot isn’t truly writing poetry — it doesn’t understand anything about poetry. It operates within the confines of a mathematical data structure to create the artifice of poetry. But a mathematical formula can never reason about information outside of its domain. An artificial intelligence that writes artificial poetry can never imagine words as anything but data. The poetry-bot will never experience the warmth of the sun, even if it knows that the words “warm” and “sun” relate to one another. Making this connection is the deliberate act of abstracting input — from experience — and creating new output. This is intelligence — what chatbots cannot exhibit, and why conversing with them is prone to such failure. Like a poetry-writing program, the functionality of a chatbot relies upon stochastic processes — a collection of random variables mapped against a mathematical set of possible states. In a chatbot conversation, this takes the form of a static conversation tree. We add programming logic, clever writing, and a dash of guesswork to make it appear otherwise. Sophisticated chatbots handle context switching and data extraction with natural language processing (NLP). This borders on intelligence but still fails to replicate true conversation. Why? Because AI has a hard time with abstraction, a core trait of our intelligence. Humans, the irrational beings that we are, excel at abstraction. As soon as our desire for abstraction overrides a chatbot’s stochastic abilities, the joy of chatting with a chatbot vanishes. But, what if this joy is missing only as a consequence of our expectation? What if we didn’t expect chatbots to be sensible or helpful? What if we relied upon them only to stoke our own output and creativity, instead of trying to replicate or supplant it? These kind of questions are why we created Mimic. Mimic is bad chatting. It is a bot for Slack that uses Markov chains to impersonate your friends and colleagues. It does this by listening to you and your coworkers in shared Slack channels into which it gets invited. Mimic then builds models of you and your coworkers, based on what you, and they say. Mentioning your coworker and Mimic in the same chat message will cause Mimic to *mimic* your coworker. Most often, this will be an unintelligible soup of words that echoes how your colleague speaks. Post a lot of links and Mimic will likely spit out links on your behalf. Talk in buzzwords? Mimic will use buzzwords to imitate you. Mimic was never meant to be a conversationalist. After all, Mimic produces a one-way street of information. You can’t ask it questions and receive answers. You can’t banter with Mimic. In spite of this lack of ability to converse, we continue to invoke Mimic, week in and week out. Mimic surfaces patterns in the way we communicate on Slack. Some of Mimic’s leavings are sufficiently bizarre and somehow insightful enough, that they spark new ideas within our team. On the occasion that a debate heats up to the boiling point, Mimic diffuses the tension in short order. Sometimes we just need a conversation starter, one of Mimic’s great talents. It appears that we’re not the only ones to see its value — to date, Mimic has modeled more than 300,000 people across the various Slack workspaces it’s a part of. In spite of its simplistic programming, Mimic produces absolute nuggets of gold, because Mimic puts words together in ways we cannot imagine. When humans talk to one another, they expect coherence. So, when we talk with coherence to a chatbot and receive incoherence from it, we get upset. With Mimic, we don’t have that problem, because we trim the expectation away from the experience. This allows us to simply chat with a computer. But the unexpected always arises from the expected when we do not expect it. That’s where it gets fun. Mimic doesn’t always know what to say, and that’s the point, but when it does — it’s delightful! Mimic, though unintelligent, is rather good at comedy. How? Well, we allow Mimic to be a computer in a human-centric conversation. In this way, Mimic is like our in-house stand-up comic — a practitioner whose arsenal includes timing and misdirection. When we expect one thing, but it turns out to be an opposite or unexpected outcome, we laugh. 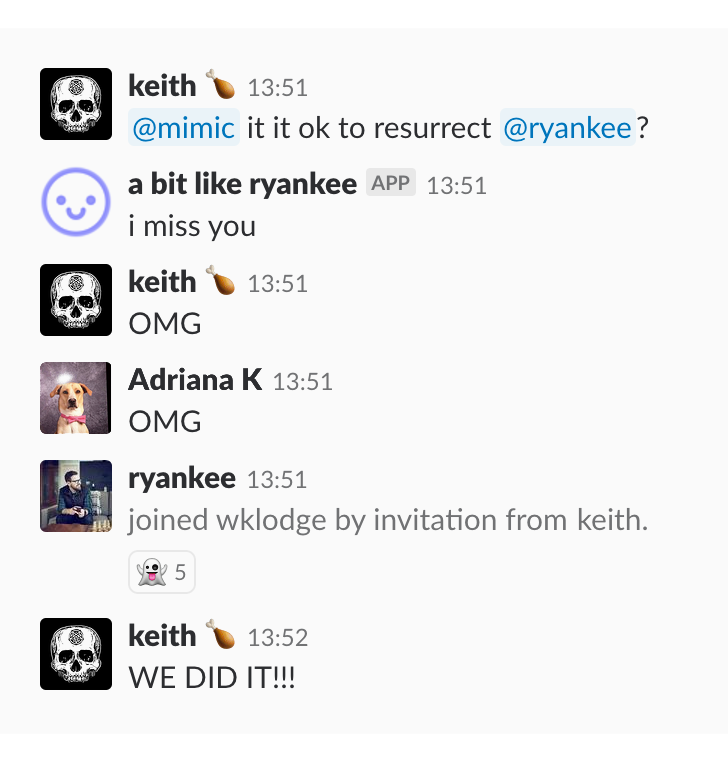 Mimic elicits a colorful reaction in Slack. Mimic doesn’t track our calendar or parse intent from group conversations. Yet, somehow, Mimic, the unsophisticated bot, was able to capture a moment in cultural time like this. It managed to produce a heart-warming and relevant moment for our team. We use Mimic’s output to make meaning for ourselves — it is our partner in creating a narrative within our own team. Mimic’s use waxes and wanes throughout the workweek but keeps turning up like a lucky penny. Mimic helps us relax as a team, laugh as a team, feel like we are playing with technology as a team. In this, Mimic has shown itself to be as much a creative partner as anything else. 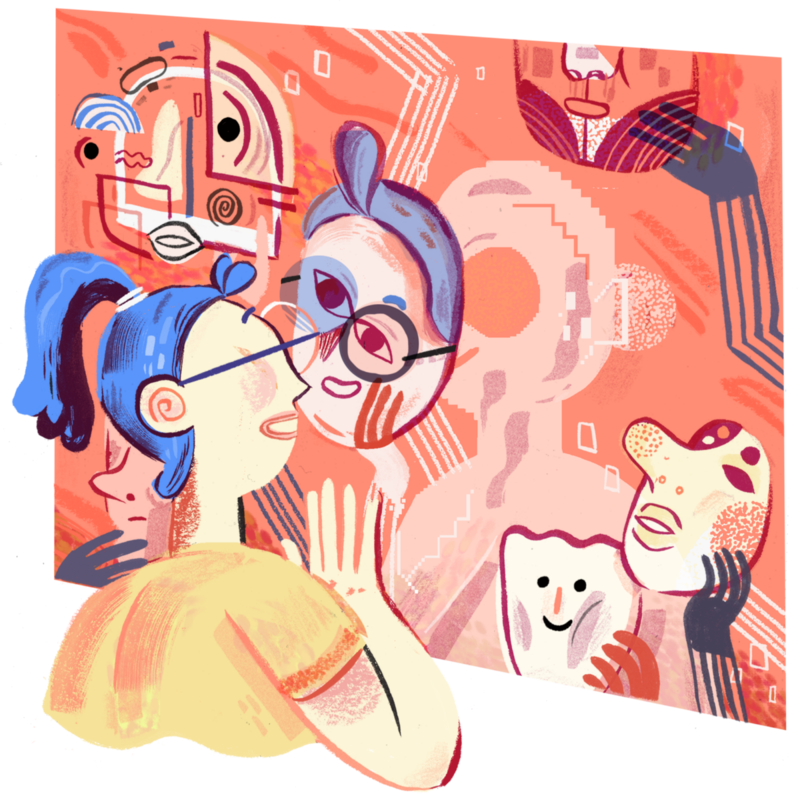 Mimic reminds us to acknowledge and celebrate the current capabilities and limitations of AI chat, rather than ignore or try to design past them. In fact, if we remove the expectation for chatbots to pass a Turing test of chat-as-an-interface, new interaction possibilities arise. Beyond funneling customer support, chatbots are well poised to recognize patterns in our conversations and build customer profiles that help brands engage more honestly. They can help us to break the ice in new (or especially tense) conversations, and they make whimsical brand ambassadors that stoke a connection with consumers. For internal teams, they can serve as creative inspirations, elevating new ideas not found in the space of human discourse. Through our exercise researching, building, and interacting with Mimic, we’ve learned that chatbots have the deck stacked against them. But Mimic’s most profound lesson is that chatbots don’t need to resemble humans. They’re just fine as they are. Frontiers is a forum for the engineers, designers, strategists, and producers at W+K Lodge to consider how the world is changing through the lens of emerging tech — and how brands can evolve to keep up. In our first frontier, Retail, we explore what it means to combine brand creativity and technology in brick-and-mortar and e-commerce. 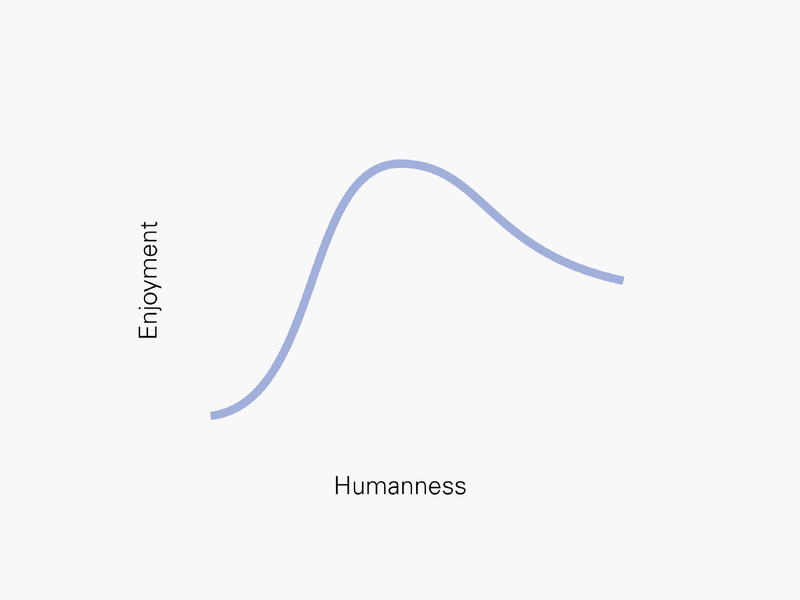 Thinking about technology and what it means to be human, not necessarily in that order. Frontiers is a collection of stories from the engineers, designers, strategists, and producers of W+K Lodge that analyzes how emerging technology is changing the world.